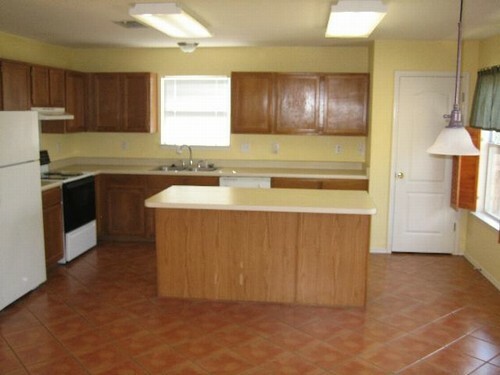 This wonderful home has easy-maintenance ceramic floors throughout living, dining, kitchen, and breakfast rooms. 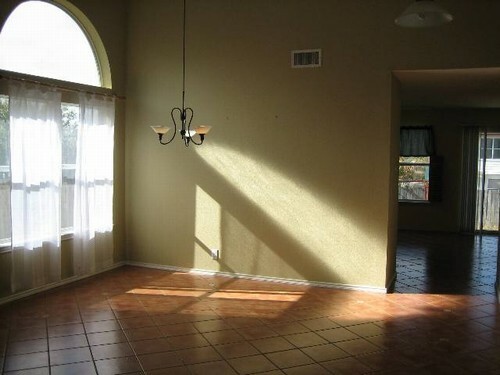 Elsewhere is berber carpet and pergo flooring in bedrooms and master suite. 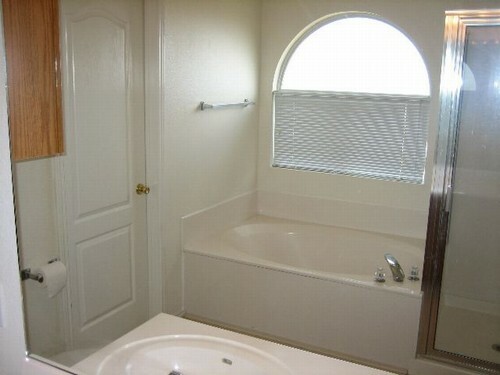 The master bathroom has relaxing garden tub and shower and a large walk-in closet. 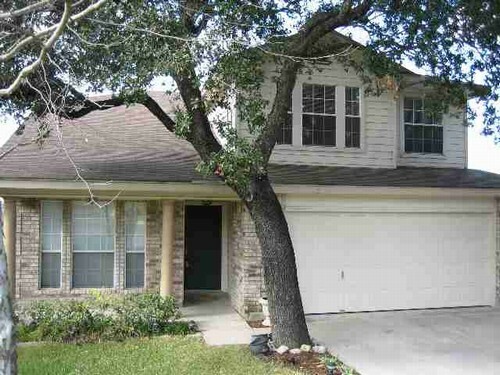 This home has two living and dining areas, large family room, and mature trees in the front yard. There is a playscape (can be removed) in the privacy-fenced back yard, and your pets are welcome.